Sessions’s perverted sense of justice continues to undermine civil rights, not protect them. President Trump’s initial response to the horrific events—a vague condemnation of violence and hatred “on many sides”—was a disgrace. It was also unsurprising. After all, the marchers were espousing a racist ideology, defined in part by the poisonous belief that white people are the real victims in today’s “politically correct” society, whose goals are being actively advanced by some in Trump’s administration. 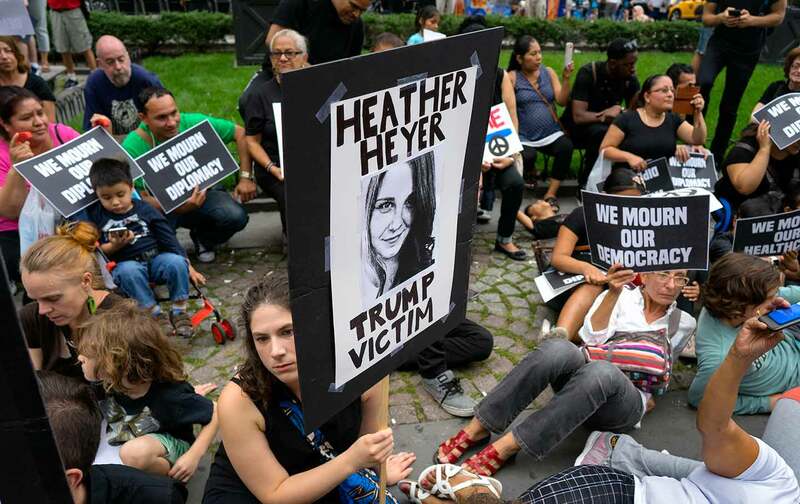 On Saturday night, the Justice Department announced that it would open a narrow civil-rights investigation into the murder of Heather Heyer, who lost her life protesting the abominable views on display in Charlottesville. But it is fair to question whether the department is up to the task, given that Attorney General Jeff Sessions, in just six months in office, has transformed it into a political weapon that is being used to roll back hard-won progress and resist efforts to ensure full civil rights and equality for all. One of the most obvious examples of Sessions’s perverted sense of justice is his enthusiasm for the failed war on drugs and its ignominious legacy of mass incarceration. Today the United States has the world’s largest prison population, with some 2.3 million people behind bars. As a result of racial disparities in sentencing, more than half of those incarcerated are minorities. The disproportionate incarceration of black and brown Americans is a legitimate civil-rights crisis, astutely labeled “The New Jim Crow” by legal scholar and author Michelle Alexander, that is devastating communities across the country. So it is for good reason that criminal-justice reform is among the few issues that have transcended the bitter partisanship of the past few years, drawing support from leading activists and lawmakers across the political spectrum.